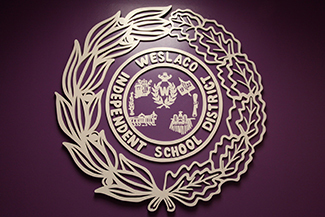 At Weslaco ISD, we cater to over 17,000 bright and talented students and supply over 2,500 jobs for the proud, growing city of Weslaco. Throughout our 21 campuses, we constantly strive to ensure that every child in our district has the opportunity to gain a well-rounded education. 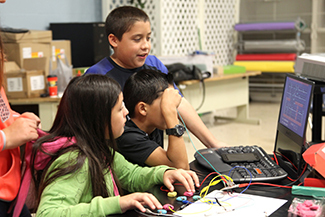 We have excellent programs geared towards building on our solid foundation of academics, athletics, and arts. Our award-winning athletic programs always produce academically-strong athletes with the ability to continue their education through athletic scholarships. Also, our Early College High Schools allow students to earn up to 60 college credit hours while still in high school at no cost to the students. We also have a terrific Career and Technology Complex that offers many industry-recognized post-secondary certifications, licenses, and associate’s degrees leading to either, more specialized instruction in a given field, or a leap forward on the path of postsecondary education. WISD recently approved a two cent tax increase which means upgraded facilities, and better learning environments to prepare our students today, for tomorrow’s successes, making WISD The Right Choice! 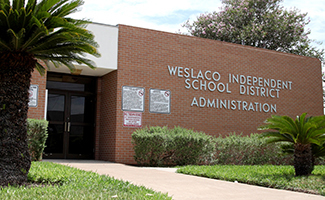 Weslaco ISD, located in south central Hidalgo County, about eight miles north of the Texas-Mexico border, encompasses 54 square miles and is bordered by the cities of Progreso to the south, Donna to the west, Mercedes to the east and Edcouch/Elsa to the north. This district map shows school locations and boundaries. 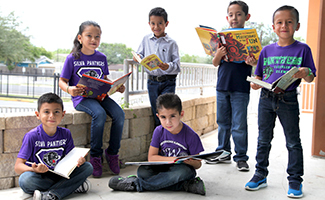 As the right choice, Weslaco ISD delivers a complete educational experience grounded in creativity, synergy, problem-solving, and critical thinking that develops lifelong learners, confident leaders, and engaged citizens. 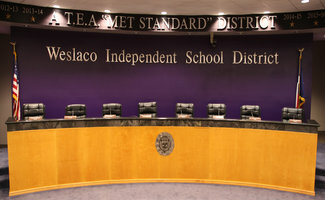 Weslaco ISD inspires and empowers all students to reach their full, unique potential so that each thrives in and contributes to our global community.